“Isn’t it strange how Marko Arnautovic was played out of position on the right wing for West Ham against Chelsea and is then ill and has to miss their game against Manchester United? Whether he really was ill or there was something else to it I don’t know but either way it has really bugged me how poor he has been for West Ham since January,” he said in his Times column. “There were rumours about a big-money move to China and then Arnautovic got a new contract, but he has been so inconsistent since. I have written before how much I rate him as a player but he is the kind of big name who is only worth having if he’s really on form. Cascarino has got it absolutely spot on here. 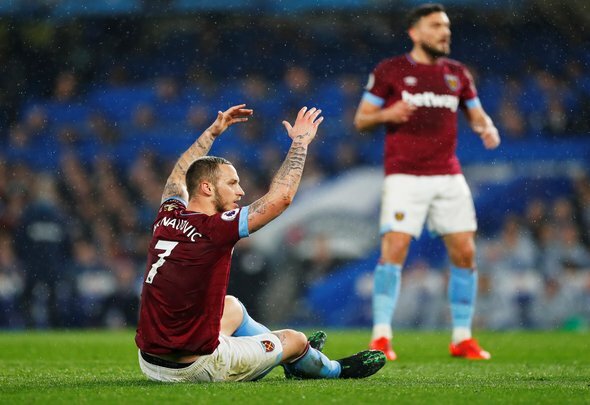 Why did Arnautovic suddenly go missing for Saturday’s game? There was no indication from Manuel Pellegrini that he was going to miss it, so it must have been a surprise to the fans that he did after his mini transformation against Chelsea earlier in the week. Cascarino is right though, he has been poor ever since January, a time where it just so happened that he was linked with a move away from the club. At the moment, he is just not worth having in the team if he is not going to score goals. Yes, we did see a glimpse of his old self on Monday, but who is to say that he will be able to maintain that the next time that he plays? There is no guarantee of that, which proves that he is just more of a liability rather than a help.